Djakarta Warehouse Project 2017 is kicking into full gear and they've released a stellar line-up for their largest edition yet, complete with unexpected performances. This year, DWP is infusing a generous amount of hip-hop with the inclusion of Desiigner and a showcase by 88rising. Representing 88rising is Rich Chigga, who will be looking to make his triumphant return to his homeland of Indonesia, Keith Ape, Joji and Higher Brothers. The rest of the line up includes the world's No. 2 DJ, Hardwell, along with trap-heavy Slander, Sander Van Doorn's latest incarnation under the alias Purple Haze, Vini Vici, and David Gravell, making this year's line-up a predominantly trance celebration. 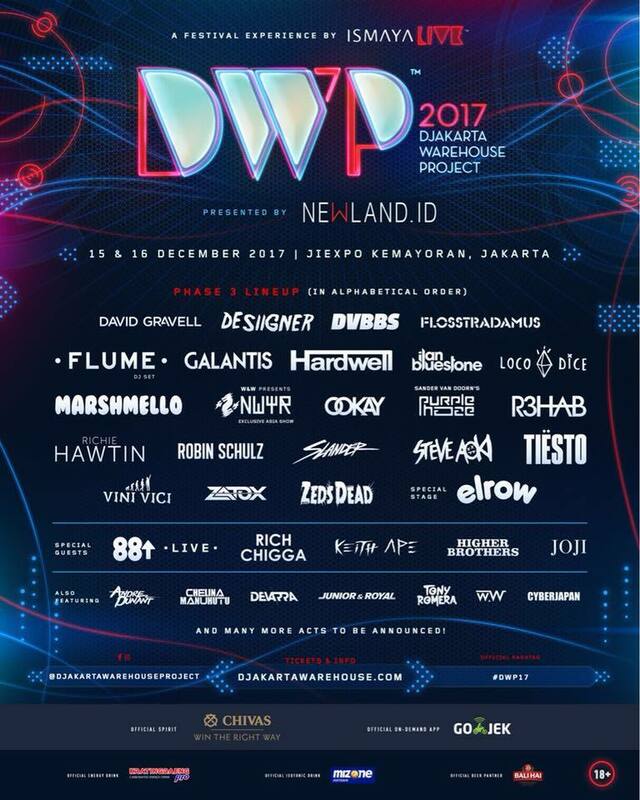 While DWP did not reveal a couple more acts in Phase 3, it is important to know that Andre Dunant, Chelina Manuhutu, Devarra, Junior & Royal, Tony Romera, W.W and Cyberjapan were also included in the official line-up poster. Djakarta Warehouse Project 2017 is happening from 15th to 17th December at JIEXPO Pekan Raya Jakarta (PRJ) Kemayoran. Get your tickets here.